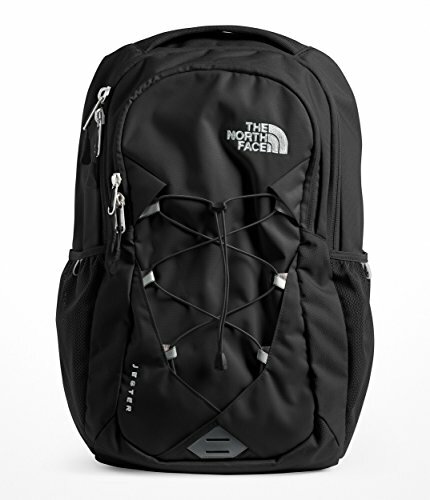 The most popular women's pack on campus gets even better with an improved suspension and design. Women-specific shoulder straps are flexible so they contour to a wide range of women's body types. Features sternum strap with whistle buckle and comfortable padded top handle. Large main compartment for books and binders, front compartment with internal organization has an extra padded tablet sleeve, a pendolier and additional secure-zip pockets. Padded laptop sleeve in the main compartment protects your goods from bumps and falls. Volume 28L, Avg Weight: 1 lb 12.9 oz, Dimensions: 19.25" x 12.5" x 9" (Laptop Sleeve: 11.75" x 13.25"). Fabrics: 600D polyester emboss and print.